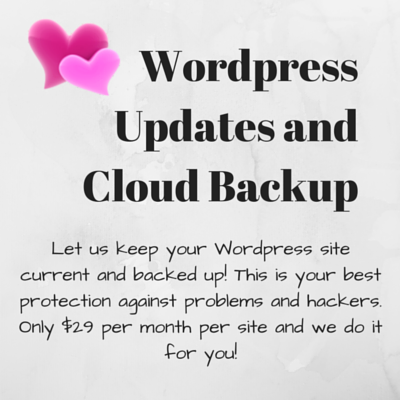 Let us make sure your Wordpress website is kept up to date and backed up to discourage hackers, and make sure your site is at its best! Hackers love to attack Wordpress sites that have plugins, themes or Wordpress versions that are out of date. Don’t be at risk, sign up now.